3 PM - 9 PM. Your ticket includes a packet to be picked up at event. Which includes a lantern, marker, s'mores kit. Any child under 3 years old is free to the event. Children 4-12 will need a kids ticket. Lanterns are not included with a child's ticket. 13 years and older will be charged an adult ticket. Come on out and enjoy a magical night and memories to last a lifetime. We have had a change in plans for our Lantern Lighting this Saturday. 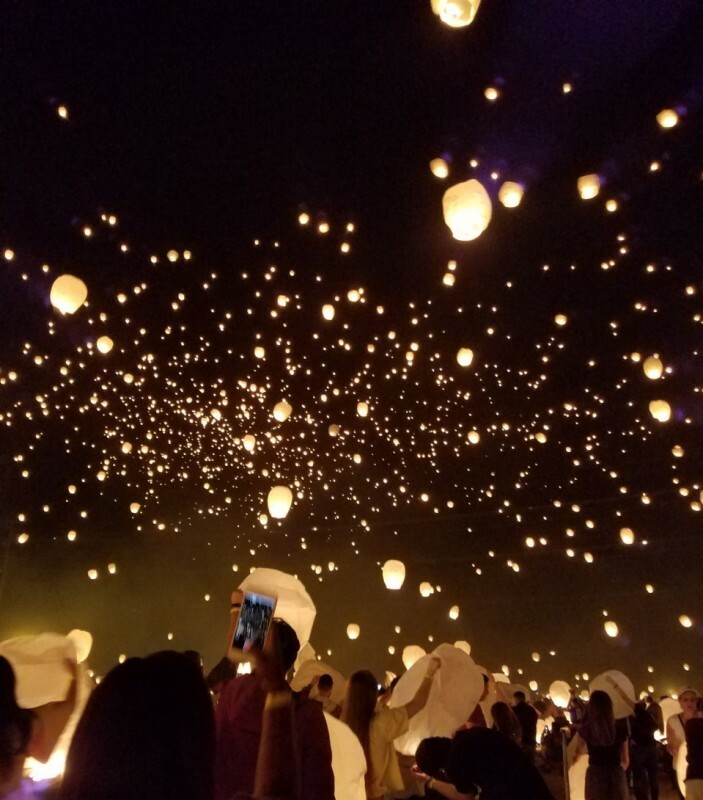 Late last night we were informed by the County of San Bernardino that lantern lightings have been banned across the State of California due to recent wildfires. However, the event will still go on and we will be releasing hundreds of beautiful LED balloons with your message attached. In the spirit of Caleb, whom this organization was founded on behalf of, we will not let this stop us. Babies So Special hopes that you will still join us on Saturday October 20th for a day filled with entertainment, food, activities for the children, and most importantly...to light up the sky! "If Plan A doesn't work, remember, there are 25 other letters ~ Claire Cook." It is Babies So Special’s mission to bring a ray of hope to a situation that seems hopeless, by providing families that have children born with disabilities with something as small as a gas card to help with transportation to as large as financial support with hospitalization bills and everything in between. In order to meet our mission and provide assistance for these families, we rely on the generosity of individuals and businesses for support. Without the assistance of individuals just like you, we wouldn’t be able to help those in need each year.